Can you guess the length of the mature sperm whale? It can reach 52 feet or 16 meters. The report finds out that sperm whale can reach the length at 67 feet or 20.5 metres. The head of sperm whale is very long. It occupied one-third of the total length of sperm whale’s body. Squid is considered as the main diet for sperm whale. This animal can reach up to 7,382 feet or 2,250 metres to catch the prey. Therefore, sperm whale is considered as the second deepest diving mammal. The first one is Cuvier’s beaked whale. 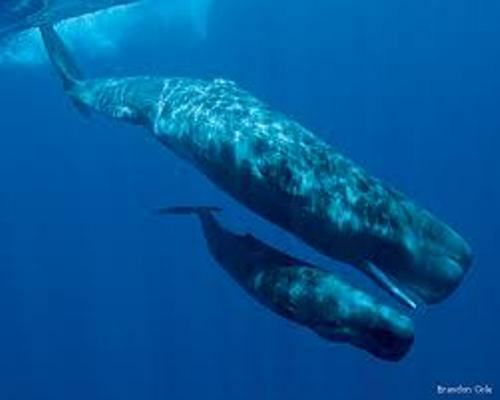 The communication or echolocation is applied by sperm whale by using the clicking vocalization. It can reach 230 decibels. The brain of sperm whale is very large. 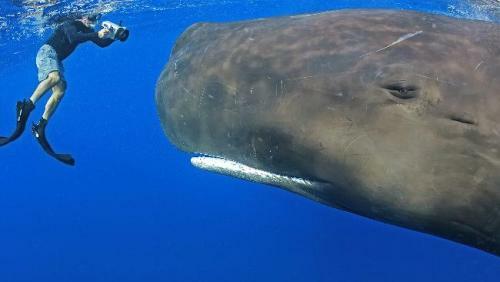 If you compare the weight of the sperm whale’s brain with human’s brain, it is five times heavier. Therefore, sperm whale has the largest brain on earth. The life span of sperm whale can reach 60 years. You can find the sperm whale living in the open ocean. During the non mating season, the male sperm whale will live alone. The young males and females will live together. 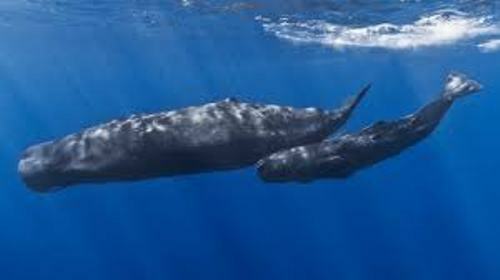 The young will be nursed and protected by the female sperm whales. Check sponge facts here. The pods of orcas like to take the weakened sperm whales and their calves. Spermaceti is used to call the liquid wax located on the sperm whale’s head. The people used this spermaceti for oil lamps, lubricants and candles. Get facts about squid here. Besides squid, sperm whales like to consume octopuses, colossal squid, giant squid and demersal rays. But the main food for sperm whale is the medium sized squid. Do you have any objection on facts about sperm whale? Get the information about one of the cutest rodents in Porcupine Facts. Have you ever touched this animal before?